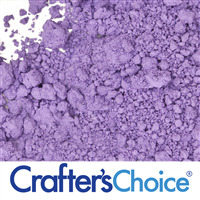 Mystic Purple Moon Mica Powder is a shimmering dark purple cosmetic powder that is safe for use in cosmetics. 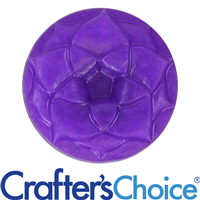 The color reminds us of a purple moon in a fantasy sky. "Turns grey in CP Soap!" COMMENTS: Turns very grey. Ruined a very important soap batch. 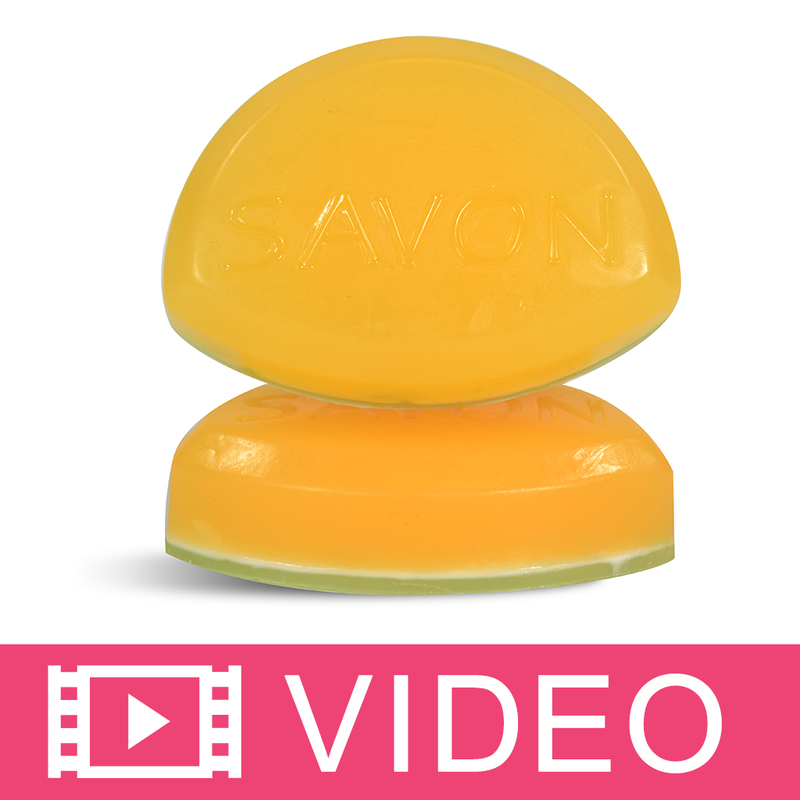 COMMENTS: These colors are so vibrant and incorporated well into my products. I would definitely recommend purchasing. COMMENTS: great color, great price. COMMENTS: Great color with so many uses! Stand alone or layering. "Pretty color- not for CP though. " COMMENTS: Purchased this as part of a kit, so probably should have read the individual reviews on each color prior to using this one in CP... Lesson learned! It really is a pretty color in the bag, and when you look at it in the sun, it's got a really cool, multicolor sheen to it! But... It most certainly does turn gray in CP. It's not unpleasant looking, just definitely not purple, and not the design I had in mind. It's ok tho, you live you learn, and this mistake was MY bad. Will just be sure to read the individual reviews FIRST next time. I have only ever made CP but am really wanting to try a batch of MP for the creativity of it. I will save the remaining for MP, as I hope it will work better for that purpose. Aside from the color morphing in CP, it is very pretty in general, just be warned though, this one is probably better suited for other applications. 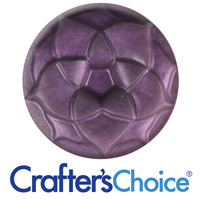 If you're looking for an AWESOME purple mica for CP, try Amethyst Purple... That one is FANTASTIC! • Really pretty color in package. • Different purple for rainbow kit. 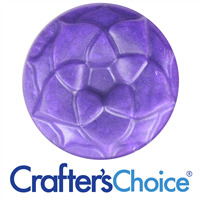 COMMENTS: I used these in my bath salts — not a true purple purple — but I Lilke it. 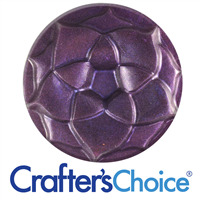 COMMENTS: I've used this mica in melt and pour and cold process soap recipes and it turns gray no matter what I do!! 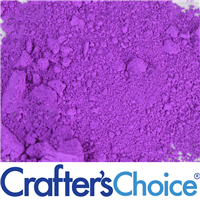 COMMENTS: I absolutely love the rich purple color of the mystic purple moon mica powder. 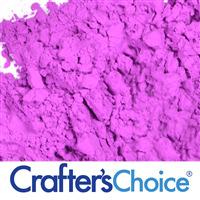 I had brought another purple that did not live up to my expectations and took a chance on this color. I fell in love with how vibrant this color is and it has not disappointed me. I plan to buy this product again! COMMENTS: This color turned into a grayish purple during the cold process. "can not seem to get purple"
COMMENTS: I bought this because it looked so perfect. 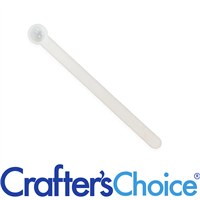 I have tried it in bath salts as well and cold process, both times it turned a dingy grey. looked great when mixed with just a little oil prior to pouring in the soap batter. might be better suited to melt and pour. COMMENTS: This is my favorite of all the purples. It is not too dark but works well as a little and a lot. COMMENTS: This works well with clear M&P. It's a dark purple so you don't need much. Looks beautiful. 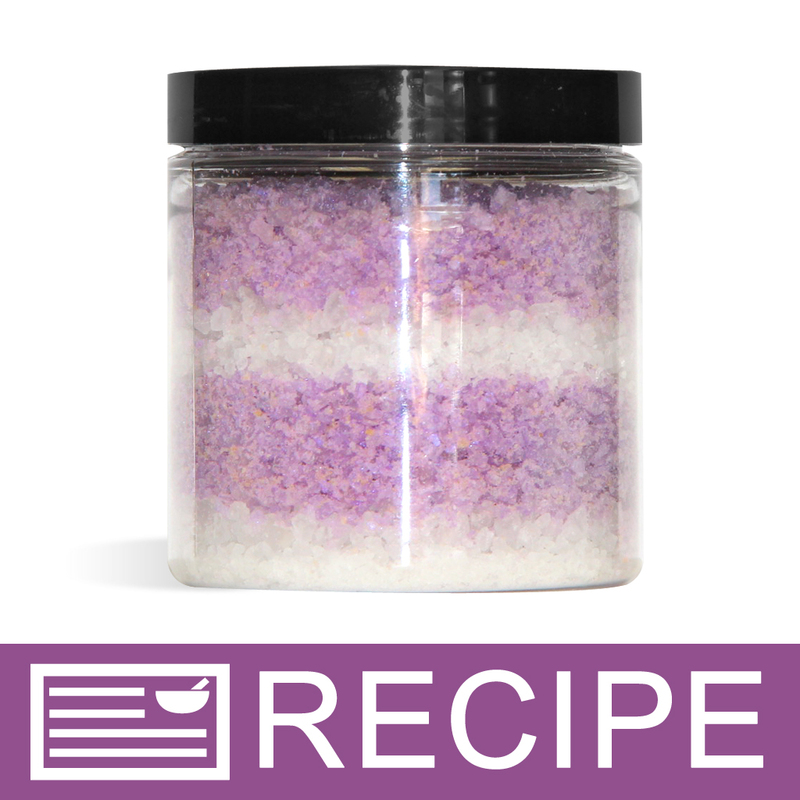 "So sad about the resulting color"
COMMENTS: I'm not sure what happened during the making of my emulsified sugar scrub, which I have made before with other colors with no problem. 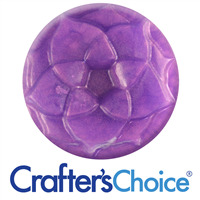 I chose this color to use for a custom order that required a pretty purple color. As I was making the scrub, I added the color little at a time, noticed that there was no actual purple color, then I kept adding more and more, still no purple. It just turned into this grayish blah. I thought maybe it was my poor lighting in my kitchen, but the next day I checked it in different lighting and it unfortunately was still the same gross gray. So disappointed because it was for an order, but I guess I learned my lesson the hard way. 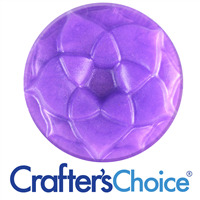 I decided to order a different purple, waiting on the order, so I'll cross my fingers for a better outcome. "It's More of A Weird Gray"
COMMENTS: I was really really excited to get this new color in! I made a batch of bath fizzies last night and as soon as I put it into the dry mixture, it immediately turned a weird gray color! 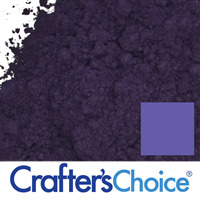 In the container it appears to be a dark purple with a nice shimmer, but as soon as it contacted the powder the color morphed! I'm super bummed out. "wow what a great color"
COMMENTS: I didn't like this one at all. The color is nothing like the picture. Didn't like the color in soap either. Just not what I was expecting. COMMENTS: I like this shade of purple. It's great in bath bombs and depending on the recipe used, can either behave well or morph in cp. I highly recommend cp soaping between 90 and 100 degrees. I soaped at 120 and experienced morphing. COMMENTS: The color that arrived does not look at all like the color shown on the listing. It is a very dark plum, with significant amounts of black in it. I used the mica in bath fizzys, and it turned the white mixture a weird gray color. COMMENTS: This mica turned two batches of cold process gray. COMMENTS: I'm not sure if it did not jive with my bath bomb mix, but it turned a gray color as soon as mixed it. I ended up adding a brighter purple to achieve the color I wanted, but by itself I don't know how it would have turned into this color. COMMENTS: Lovely dark shade of purple. COMMENTS: Gorgeous purple and behaved super well! COMMENTS: I really didn't like this purple at all. I thought it ended up looking gray in my CP soap. Maybe after gel and curing the color will get better but as of now, I'd use a different purple. 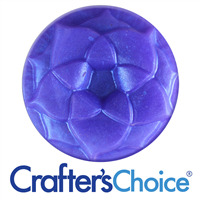 COMMENTS: I'm so glad that WSP finally has purple mica & the fact that you've added several just makes my day! I'm in love with this particular shade. Swatches don't do it justice. This is a lovely shade & I absolutely adore it! I've found that it has shades of gray depending on how the light hits it. It looked almost exactly like the heirloom eggplate mica in the container, but once I made the products, they are much different. So far I've used it in cosmetics, but cannot wait to try it in bath bombs.